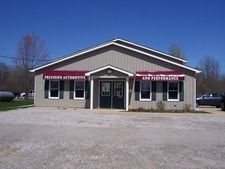 Scott Klein established Precision Automotive & Performance in 2004. He is originally from Elyria and graduated from Denver Automotive and Diesel College in 1985. He taught Computer Controls for Ohio Technical College. His certifications include: ASE Master Certified with advanced level L1 drivability certification, General Motors Computer Control Certified, Ford OBD2-EEC five certified.